As of recently, I’ve been looking for new hosting companies to try out. I’ve had a few hosts in mind but they were too big a name for smaller website projects. Besides I was rather keen to come across a web host which is absolutely dedicated towards the clients. Throughout my experience with the web hosting companies, I’ve come to one conclusion; the more infamous your web host is, the less time it will spend on your certain hosting needs. Naturally, a renowned hosting company has thousands of users and it will treat you as one pebble among a thousand other rocks. 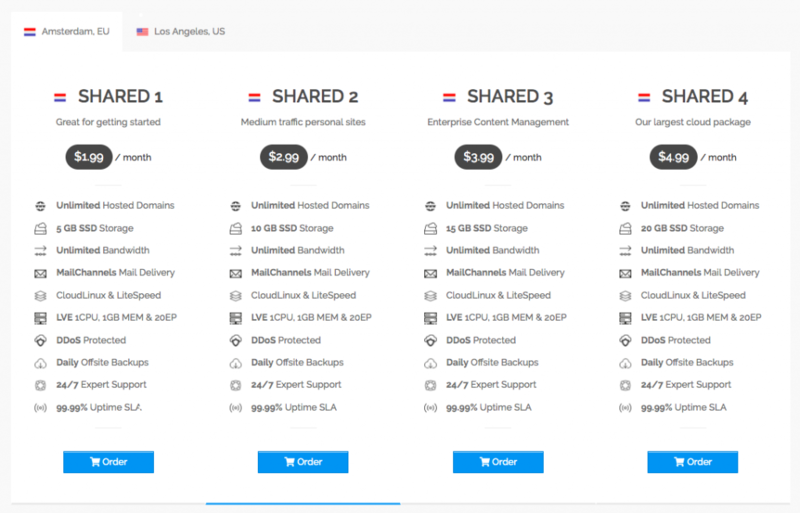 On the other hand, a small web host will give you merrier results if you’re looking for moderate solutions for Cloud, storage or hosting requirements. Thankfully, I came across one such hosting provider named Austenite and after using their services for about a couple of months, I decided that it was worth reviewing for you guys. Austenite is an England based hosting enterprise which excels in online services such as hosting, cloud, and storage solutions. Having been in the web hosting market for several years now, Austenite knows how to please the customers by offering only the most reliable and top-notch quality services. Austenite has servers located in best-connected regions all across the globe for enhanced stability in performance and speed. A couple of Austenite’s locations include Amsterdam, Netherlands (NL1) and Los Angeles, California (LA1) which ensure that the peering and fiber routes will undoubtedly be world-class. The quality served by Austenite is unmatched thanks to the state-of-the-art infrastructure it is powered on. The is team works day in and day out in order to make the hosting environment as secure as possible. When it comes to speed and performance, a web host can either take the leap towards success or could massively collapse as a service provider. If you fail to grant brilliant speed on all of your servers, then I’m sorry to be the one to break it to you; your company isn’t going to accomplish something grand. Therefore, one of my biggest issues with any web host is obviously sped. I was a tad apprehensive when I first purchased Austenite, to be very honest. After all, Austenite isn’t as grand a company. After the installation process was done and I was handed my dashboard configurations, the first thing I did was check the speed of Austenite’s servers. Well, suffice to say I wasn’t disappointed. Sure, the speed wasn’t as blazing as some large-scale hosts, but given the size of my hosting package, I was taken aback by surprise after witnessing fast servers. One of the biggest bummers I have ever faced while having my websites hosted was facing downtime issues. I’m paying enough money to have my sites online around-the-clock. The least a web hosting provider could do is make it available all times of the day (and night). Initially, I was wary to see how Austenite would handle the uptime/downtime aspect. I was smart enough to pay attention to how frequently my site was prone to face downtime. Not going to lie, I thought my site was going to be offline more often than not. Proud to claim, Austenite once again left me astonished. I’m not saying their servers were always available. I did face downtime issues every once in a while; happens to the best of us. However, Austenite always made sure the situation rectified within minutes. Bottom line; Austenite’s uptime response is amazingly reliable. SSL certification has always been a crucial step but many web hosting providers were always ignorant towards it. To maximize their profits, web hosting companies refused to provide free SSL certificates. It’s just how it works; if it is not included in our web package, we wouldn’t pay for it. I mean, as a common man I was in a habit of not paying extra charges for SSL certificates. People need to understand SSL certification has become more important than ever. Do you know Google has finally decided to ban websites which aren’t SSL certified? Austenite won’t let you pay for something you shouldn’t. They offer free SSL certificates for sites which are hosted within its own network. It saves money and it’s secure as well. Believe me when I say this; no one knows how dreadful it can get when you host your website with a wrong provider more than me. Your website is more offline than it is online; the support refuses to respond back in time; the server is painfully slow; the interface is complicated. There are a dozen ways in which a web host can screw you over. When you come across a quality web host, it’s smart to migrate in order to avoid more casualties for your own good. Austenite offers absolutely free migration. In case you’re tired of your former host and have realized Austenite can benefit you more, you can have your data migrated to Austenite’s network in no time. Austenite’s team is always on standby in case you need to reach out to them. I hit them up regarding an installation query and was pleased to encounter that the team’s average response time is within mere minutes. It’s faster than I expected. They are friendly and professional at the same time and the team is wholeheartedly committed to helping you. Austenite’s Cloud Hosting packages are ranging between $1.99/mo and $4.99/mo. Austenite’s WordPress Hosting is always ranging between $1.99/mo and $4.99/mo. Well, there you have it; a detailed and in-depth review of Austenite. I’ve mentioned everything you need to know before purchasing them. Still, if you wish to walk down the memory lane once more, I’ll present a quick recap of its features. Austenite offers powerful Cloud and WordPress hosting services which include solid security, powerful anti-DDoS solutions, lightning-fast servers, 99.9% uptime SLA, free migration, SSL certificates, daily backups and no caps on the bandwidth either. 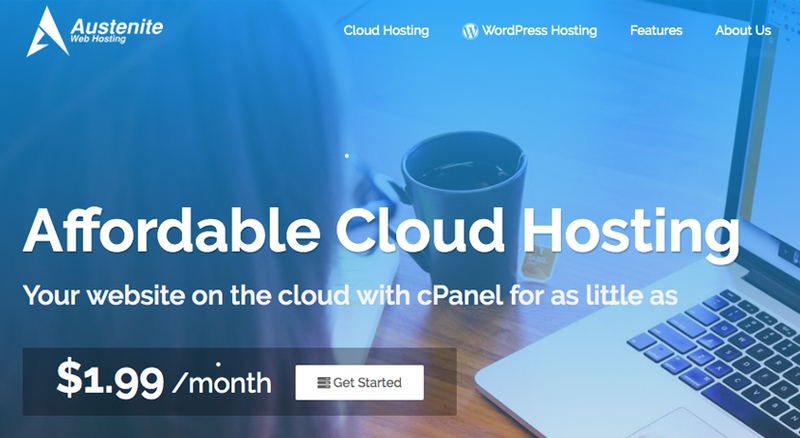 If you consider the pricing range, I think it’s one of the most reasonable Cloud and WordPress host in the market. If you take my word for it, I think you should give Austenite a shot. They won’t disappoint!